Is a NEW Facebook Reading Group for all my readers. I started it at the end of March and already has over 800 members! The group is all about books, especially mine, but also others as well! It's a great place to find fellow MVS readers (there's already talks of meet up in Australia and the UK). There will also be perks to being a member - exclusive contests and you'll hear all the MVS news FIRST! The name of the group was picked by an advisory team of readers. 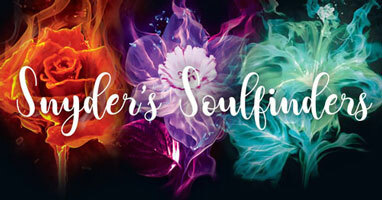 Rachel from New Zealand suggested it because she believes, "...a part of the soul goes into each word written..." and Kristen from Australia said, "...we are souls trying to find similar souls to ours who love and enjoy your books." Lovely sentiments. And then there's this quote from some dude named Plato, "Books give a soul to the universe, wings to the mind, flight to the imagination, and life to everything." To join go HERE Please answer at least 2 of the questions as best that you can! We don't want any trolls in our group - just Soulfinders! What? you ask. You just released a book last November and you're releasing another in June 2019! Is this a trick? No! I sold two different series to my publisher in Australia--a science fiction series and a fantasy one (6 books in all). Much to my chagrin, they decided to release one book from each series six months apart. Yikes, I have to write two books a year. However, it's been rather fun to switch between SF and fantasy. Currently Book 2, The City of Zirdai is scheduled to be released in June 2020 and Book 3, The King of Koraha is scheduled for June 2021 in Australia and New Zealand. I've no idea when it'll be out in the US/UK/Canada/etc... Still waiting for news. See here's the thing...my publisher for all my other novels (except NTS), Harlequin decided not to publish anymore of my new books. Except the Australian office - they believed in me and bought both my new series (love you guys!!). I'm shopping the series around to other publishers and hope to get some interest. I tried to find a home for Navigating the Stars without luck so that's why I did it myself! 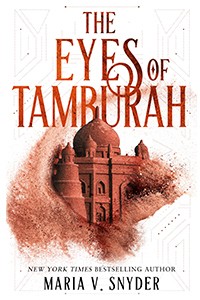 If I can't find a home for The Eyes of Tamburah, I'll do that myself as well. This series has been brewing in my head for a long time--even before I sparked on my Sentinels of the Galaxy idea. This one also has archeology, precious artefacts, and a desert. In fact, the world of Koraha is completely covered in a desert and the inhabitants have retreated underground to live. If they're caught on the surface when the sun is at its zenith, they're cooked alive! So is this a good time to say I was inspired by my visit to the Australian Outback? It's true, I was amazed by the bright orange sands and the fact that so many people survive in the middle of nowhere! 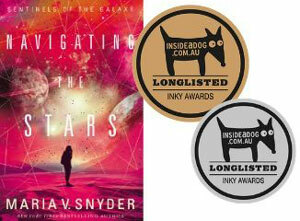 NAVIGATING THE STARS is longlisted for a Silver Inky Award! I'm so thrilled that my book has been selected as one of ten YA novels of 2018 for the Silver Inky Award. It's an honor to be included in this talented group! An explanation of the Inky Awards from the Inside A Dog website: "Founded in 2007, the Inky Awards are Australia's only teen choice book awards. The Inky Awards give young adults across Australia the opportunity to vote for their favourite YA release of the year. The awards are divided into two categories: the Gold Inky for Australian fiction and the Silver Inky for international fiction." Inside A Dog might sound like a strange name for a website about books. This quote from Groucho Marx may shed some light ;) "Outside a dog, a book is man's best friend. Inside a dog, it's too dark to read." Check out the rest of the selections, including the ten books written by Australian authors, HERE. 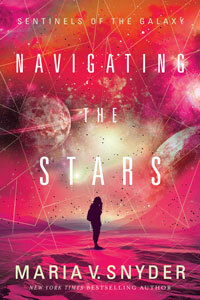 I'm excited to announce that Navigating the Stars is available now in print worldwide! 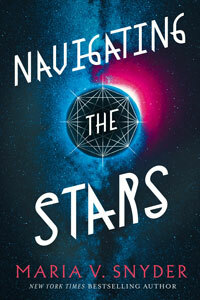 I hope you enjoy reading Navigating the Stars as much as I enjoyed writing it. Book 2 in the series, Chasing the Shadows will be coming out December 2019, with Book 3, Defending the Galaxy coming out December 2020! Audible Audio Book - Coming December 15!